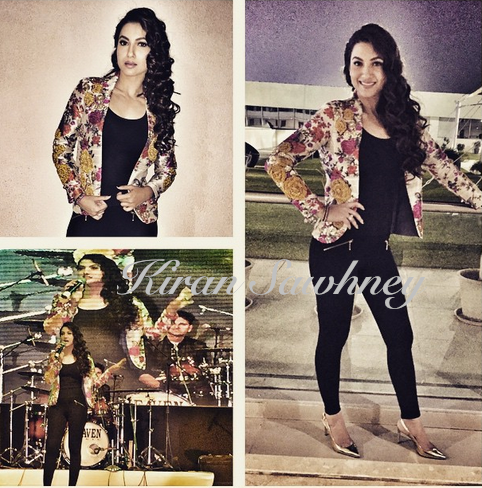 Gauahar Khan was at Spreadlove concert in Ahmedabad. She wore Bhumika Sharma Blazer, Zara pants and MK heels. It is a casual and yet chic look. She looked good.